The executor is responsible for determining, as best as she can, what debts the estate owes so that they can be paid. In order to carry out this duty, the executor has the right to contact creditors that she knows or suspects are owed money, as well as the duty to publish a general notice in the newspaper or elsewhere, depending on the laws of the state, letting creditors know that they should come forward. The executor has the right to discuss financial matters with any creditor who contacts her, just like the deceased person would have. The executor has the duty to pay any debts the estate owes before the estate's assets are distributed as instructed under the will. In order to do this, the executor has the right to start a bank account from which to pay debts or to put the estate's existing bank accounts in the name of the estate so that he can pay debts from them. The executor may also liquidate any assets of the estate that are necessary to pay any remaining debts. In order to determine what assets the estate has, the executor is responsible for inventorying the estate's assets. In most states, the executor also has the duty to file this inventory with the probate court and give copies to the estate's beneficiaries before she begins paying the estate's debts. In order to determine what the estate has, the executor has the right to see the estate's financial records, to contact any financial planners, accountants or other professionals the deceased person relied on for financial services and to hire professional appraisers or other professionals to determine the value of certain assets, at the estate's expense. Once all the bills are paid and the estate's final tax return is settled, the executor has the duty to distribute the remaining assets in the estate, if any, to the beneficiaries that are listed in the will, in the manner the will tells the executor to distribute them. The executor retains his right to access the estate's bank accounts, talk to financial professionals and conduct other financial business while distributing the estate. Sometimes, an executor faces disagreements from the beneficiaries when settling an estate. 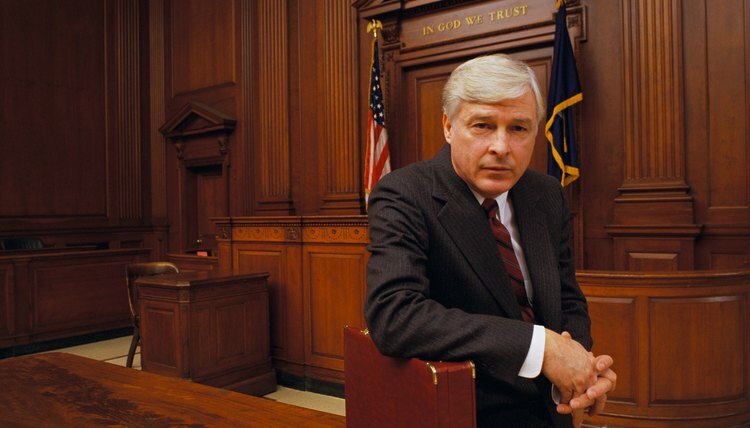 If the estate's beneficiaries bring a lawsuit to settle a dispute with the executor, the executor has the right to defend herself. If a beneficiary or other interested party challenges the will, the executor has the duty to defend the will's validity, as well as the right to hire an attorney at the estate's expense to present a defense. In most states, executors have the right to reimbursement from the estate for the necessary costs of administering the estate. These include expenses like postage, phone calls, hiring necessary professionals like accountants or appraisers and travel, if necessary. Some states also allow the executor to receive a percentage of the estate or an hourly rate as compensation for services in administering the estate, according to the American Bar Association. ABA Family Legal Guide FAQ: What is an "independent executor"? What happens when you know are an heir of an estate but aren't included in the will? This can happen if the deceased promised you property but never included you in the will, or if you are a child of the deceased born after the will was made. However, you've now been left out of the probate process, and ultimately, you will be left out of the property distribution if you don't act. File a Letter of Demand, or a Demand for Notice with the probate court. The Demand for Notice lets everyone, including the personal representative, other heirs and the court know you feel you have a right to inherit from the estate. After you file the Demand, the probate court includes you on the mailing list for all proceedings related to the decedent's estate.